• Marlon Brando first visited Tahiti in 1960 to scout film locations and later shoot "Mutiny on the Bounty," in which he played mutinous sailor Fletcher Christian. During the filming, Brando fell in love with his Tahitian co-star Tarita Teriipaia. They had two children together, a son, Teihotu and a daughter, Cheyenne. • In 1966, Brando was granted a 99-year lease to the island of Tetiaroa by Tahiti's government, making him its sole owner. Located about 30 miles from the main island of Tahiti, Tetiaroa is actually a group of about 12 motus (or islets) measuring about 27 square miles and surrounded by a lagoon, Tetiaroa had until then been the private residence of a succession of Tahiti's ruling families. Coincidentally, its first European visitors had been three deserters from the HMS Bounty, who called on the island in 1789. By 1904, Tahiti's royal Pomare family had deeded the island to dentist Johnston Walter Williams and then passed through several private owners before Brando was able to secure the lease. • Throughout the '60s, '70s, and '80s, Brando visited Tetiaroa whenever he could, sometimes spending months at a time on the island, where he even built a so-called Hotel Tetiaroa Village, consisting of an airstrip and a few rustic thatched-roof cottages for visiting tourists seeking an adventure. • In the 1990s, a series of tragic events soured Brando's love for Tahiti: In 1991, his son Christian (with actress Anna Kashfi) plead guilty in Los Angeles to shooting Dag Drollet, the Tahitian boyfriend of his half-sister Cheyenne. Beset by mental illness, Cheyenne later killed herself at her mother's home in Tahiti. • Brando died in Los Angeles in 2004 at the age of 80. 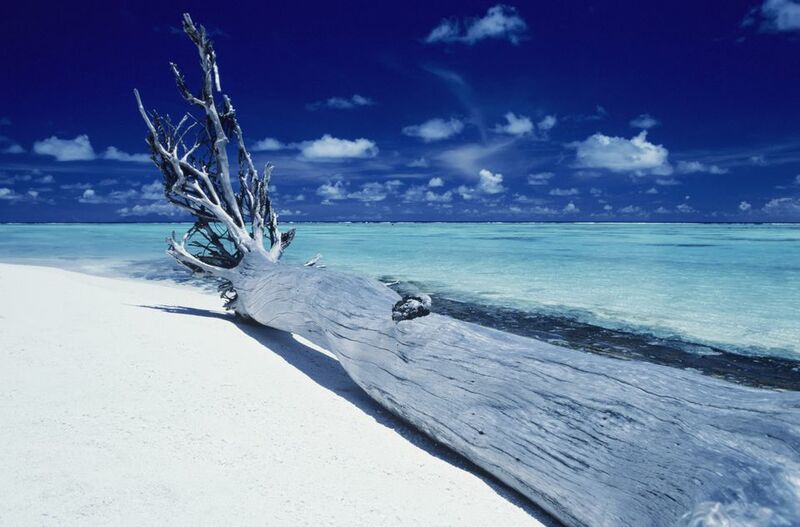 Tetiaroa has been developed into a luxury eco-resort called, fittingly, The Brando, which opened in late 2012. With access provided by private plane, the resort offers carefree luxury in the midst of pristine nature. The all-inclusive resort features 35 deluxe villas each with its own private beach area, private plunge pool, and windows as big as doors that let guests indulge in the sun, the breeze, and lagoon views. The villa’s timbered walls and native gardens are surrounded by exquisite scenery. The resort has been designed around clean, renewable energy sources, to protect this island paradise for generations to come. The resort’s restaurants showcase Polynesian and French cuisine. Guests will also enjoy a luxurious Polynesian spa, a lagoon-view bar, beach bar, pool, organic garden, library, boutique and water sports. The Brando is unique in concept and scope, combining environmental purity, luxury, and Polynesian charm into an enriching experience. The Brando's developer, Richard Bailey, of Pacific Beachcomber, SC, has also developed and operated six resorts on Tahiti, Moorea, and Bora Bora, including the InterContinental Bora Bora Resort & Thalasso Spa, the InterContinental Moorea Resort & Spa and the InterContinental Tahiti Resort.